Yoga is great for helping to relieve tension in the hips and pelvis. Working on hip flexibility and stability can also improve lower back pain, balance, posture and prevent injuries in later life. In this workshop we take a closer look at some basic anatomy of the hip and lower spine, paying special attention to the psoas muscle, one of the deepest core muscles of the body. Buried within the pelvis, the psoas muscle improves structural stability as it links the spine to the pelvic (hip) bone. Surrounding the sacral chakra, the psoas also acts as a conductor for subtle energy moving downward toward the earth, helping us to feel safe and grounded. Learning to consciously release the psoas leads to an influx of vital energy, trust in your skeletal stability and a feeling of calm and emotional security. massage techniques & guided visualization for grounding energy. Within many Eastern traditions, the psoas is thought to be intimately connected with the sacral chakra, or sea of chi, as it is referred to in Taoist practice. Certain breathing practices associated with the psoas have the power to affect this chakra, such as consciously controlling our diaphragm to allow the lower abdomen to expand and retract. Breathing more fully and deeply, we can eventually balance the sacral chakra, a major energy center directly related to the health of the body. Guided meditation will allow participants to experience how breath moves energy through the diaphragm, iliacus and psoas muscles and myofascial connective tissue extending into the lower extremities. Payments made via PayPal with fast & secure checkout. * If registering with someone else, please indicate the name of your friend or partner. 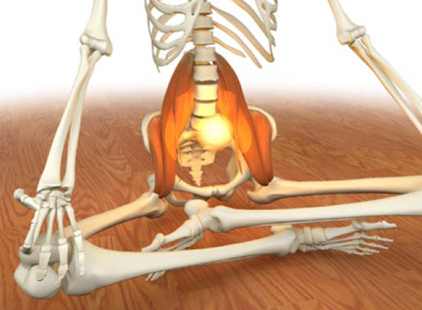 The biggest factor in back and hip pain is frequently the psoas muscle. 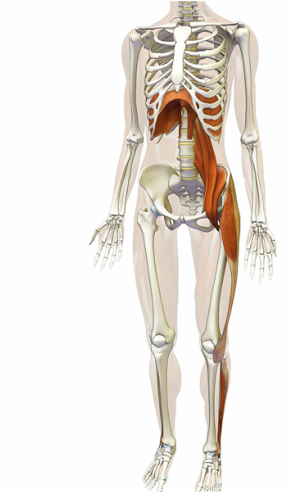 Many believe the psoas muscle is one of the most important muscles in the body. The number of problems caused by the psoas is quite astonishing. These include: low back pain, sacroiliac pain, sciatica, disc problems, spondylolysis, scoliosis, hip degeneration, knee pain, menstruation pain, infertility, and digestive problems. When the muscle becomes contracted due to injuries, poor posture, prolonged sitting, or stress, it can alter the biomechanics of the pelvis and the lumbar, thoracic and even cervical vertebrae. Typically a dysfunctional psoas is responsible for referred pain down the front of the thigh and vertically along the lower to mid spinal column.